An account, by Russian political activist and former chess grandmaster Garry Kasparov, of his 1997 battle with IBM supercomputer Deep Blue and what his loss to the machine taught him about the nature of artificial intelligence. ...what makes his book fascinating is that he uses it to reflect on what it was like to have been defeated by a machine and on the more general implications of that experience ... Even for readers with only a passing interest in chess, it’s an absorbing, page-turning thriller that weaves a personal account of intellectual combat with the wider picture of what it’s like to come up against a powerful corporation that is determined to do whatever it takes to crush opposition. So this isn’t just a tale of human versus machine – it’s also a story about one man versus The Man ... by the end of the book, he has arrived at a more enlightened view of machine intelligence than most people in the tech industry, who are obsessed with machines that will replace people. Though Mr. Kasparov writes knowledgeably about the computers that beat him, when he turns toward prediction-making he is prone to over-generalize from these experiences to make statements about all computers everywhere and forever ... More than any such specific observations, however, what I value most in this book is Mr. Kasparov’s own example. He sets himself forward as an intelligent, honest and self-critical person, working hard to adapt to and understand his world. The author admits to being a sore loser and apologizes for not being gracious after the Deep Blue defeat ... 'Few young stars in any discipline are aware of why they excel,' Mr. Kasparov writes. Like Mr. Kasparov, I don’t know why he was great. But I know now why I’m glad we have him. We need at least a few of our most celebrated minds to be this intellectually honest with themselves, and with us. The raw emotion of that encounter in New York bursts out of the pages of Kasparov’s gripping story, which he fully recounts for the first time in Deep Thinking. 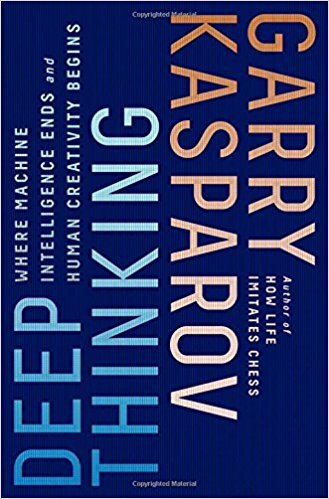 It is almost as if Kasparov is describing a death when he writes about his defeat ... What is striking, and reassuring, is that far from raging against the machine, Kasparov marvels at the capabilities of computers and is excited by the possibilities for future collaboration ... reads at times like a fast-paced psychological thriller ... Chess fans will be engrossed by Kasparov’s tale but the book deserves a far broader readership. 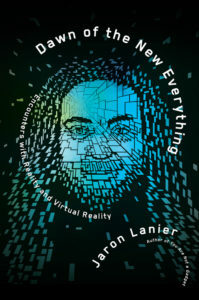 The concluding chapters contain one of the most reasoned explanations of how humanity can benefit from working with its computational creations. What did you think of Deep Thinking: Where Machine Intelligence Ends and Human Creativity Begins?